It's never late to learn Tai Chi and discover its bountiful gifts! 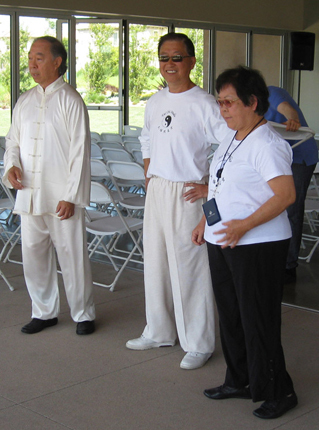 Tai Chi classes are offered in Irvine, Huntington Beach, Fountain Valley, Placentia and nearby areas. Meditation practice classes are also available. You are welcome to try a FREE class! Contact us for details. Beginner Tai Chi classes are available immediately on weekdays, evenings and weekends at multiple locations throughout Orange County, CA. First class is free. Come to class locations or contact us for more information by email , or call us at (714) 488-7818. View our weekly schedule of Tai Chi classes. Also, Check out our photo gallery to see photos from some of our classes and workshops.